On October 26, 1985, the Australian government returned ownership of Uluru, also known as Ayers Rock, to the Pitjantjatjara, Aboriginal Australians who traditionally lived in the area. Two dome-shaped rocks, Uluru and Kata Tjuta, dominate the sandy plains of Uluru National Park in Northwestern Territory, Australia, where UNESCO maintains a biosphere reserve. 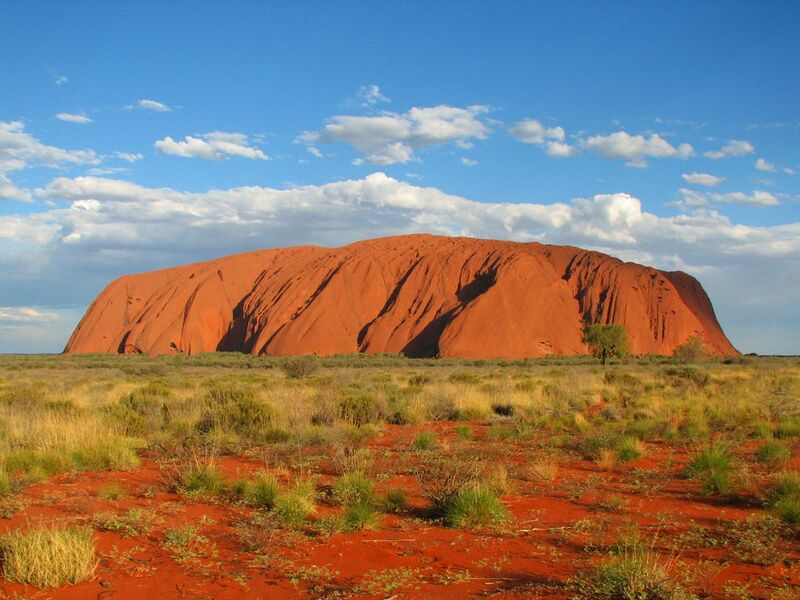 The larger monolith, Uluru (also known as Ayers Rock), rises 863 meters (2,831 feet) above sea level. Traditionally, these formations were owned by the Anangu Aboriginal people, one of the oldest human societies in the world. On October 26, 1985, the Australian government returned ownership of Uluru, also known as Ayers Rock, to the Pitjantjatjara, Aboriginal Australians who traditionally lived in the area. The return of Uluru to the Pitjantjatjara was a significant acknowledgement of the rights of indigenous people. Conditions of the “handback” allowed the Aborigines to lease Uluru to the national park service, and jointly manage the area with the government. Uluru is one of the most famous natural sites in Australia. The enormous red sandstone formation is an “island mountain,” jutting more than 860 meters (2,822 feet) out of the surrounding desert, and measuring 9.4 kilometers (5.8 miles) in circumference. Aborigines have many legends about the origins of Uluru. In one legend, the rock is a pile of mud left by two giant boys playing in the dirt after a rain. distance around the outside of a circle. to rent, or buy for use during a specific time period. common sedimentary rock formed by grains of sand compacted or cemented with material such as clay. large sandstone rock formation in central Australia. Also called Ayers Rock.